What was this brain plotting while wearing a heart costume? Smiling cartoon brain having fun when getting rid of a heart costume. It uses its stick arms to unzip its disguise while mischievously revealing its true identity. 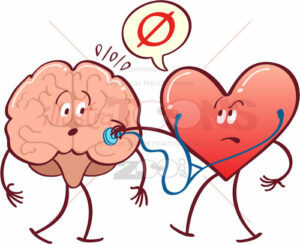 Download this original image and have fun by going in depth discussing about brain and heart.